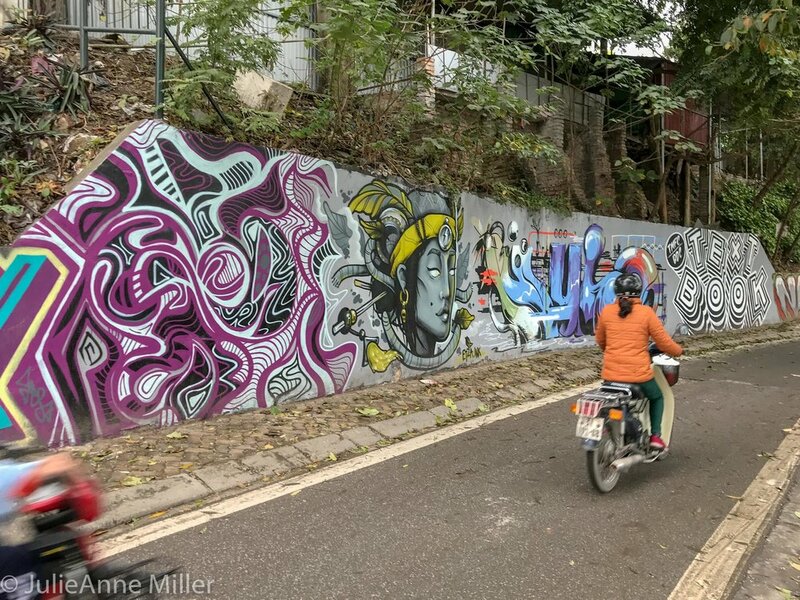 We were in Hanoi Vietnam for a week and it took about that long to get used to the noise, dirt, and chaos. There is an inexplicable order to the complexity that you just have to trust. When you cross the street, you have to look forward, keep moving, and trust that scooters and cars will either stop or move around you. When you eat on the street, you have to follow the flock, eat where they eat, and trust you won’t get sick. There is an order, but don’t expect to articulate or quantify it. You just have to surrender to it. A new building was being constructed next to our AirBnB on the outskirts of Ba Dinh, a neighborhood in Hanoi. We watched as men tossed cement, one shovel at a time, man-to-man up a series of scaffolding ascending several stories. The next day, we watched them lob bricks, one at a time. A couple of days later, we were in a more developed area of Hanoi, where cranes lifted steel beams of a new high-end high-rise. They get the job done here, one way or another. Tiny elderly ladies on miniscule plastic stools roast corn on a single charcoal burner on a street corner outside of a bright up-and-coming Pho franchise. Both will have a line of hungry customers. This is what “developing” means – one foot in the old; one foot in the new. It’s mesmerizing. The country is communist. If you take a free local tour, expect to hear the party line about Uncle Ho. Ho Chi Minh is revered like a saint. I’d say he deserves it, considering he worked tirelessly throughout his entire lifetime to free Vietnam from French occupation and then to re-unite the country after it was carved in half by ignorant foreigners after the Second World War. Having endured 150 years of struggle, Vietnam is entitled to tell their version of their own history. Once you get to know a few locals, though, they’ll loosen up and tell a few stories. Maybe there is a singer called the “Lady Gaga of Vietnam” who is known for her political activism. Maybe she has been tossed out of [more than] a few apartments after her landlords were “pressured” and maybe her songs are not played on state-run media channels. But she is running for Parliament. Rumor has it that attempts by professional women to organize a protest against patriarchial hiring practices have been disrupted by the police numerous times. But the dialog continues online. Because, unlike China, Vietnam is still “open enough” that its citizens have access to global resources and social media. Change happens, but not on familiar western timelines. Pride. If I can sum up Hanoi in one word, it’s pride. Vietnamese people can forgive the world for its transgression(s) because Vietnam fought hard, won, and is now moving forward under its own terms. 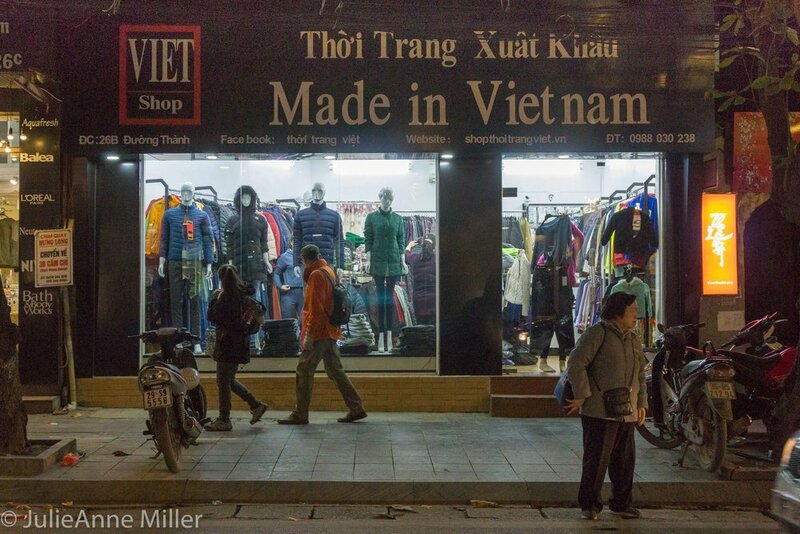 There are “Made in Vietnam” signs everywhere, with brands like NorthFace and Nike -- made in Vietnam -- sold at rock-bottom prices. There is no Chinatown and souvenir shops boast that its products are made locally. 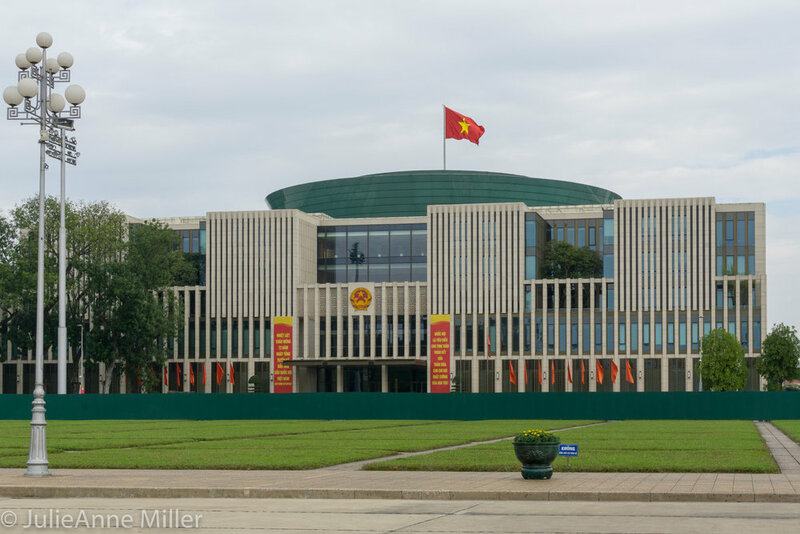 Not that Vietnam has no trade relationships with its strong Asian neighbors and western partners; it’s just that they have a healthy production economy and they aren’t afraid to flaunt it. If you want foreign-produced goods, you can certainly get them. But you’ll pay more. Side note traveler tip(s), since we’re on the topic of imports: Chile takes the prize for wine prices in Vietnam. Vietnam produces wine from the Dalat region, but I wouldn’t recommend it. If you enjoy a decent Cabernet Savignon, look for Chile wines priced around 250,000 dong a bottle (~$12 - remove last four digits and divide remaining numbers in half to get approximate $ value). You’d think that the French would have cut a trade deal with Vietnam as retribution for past grievances, mais n’est pas. Chile wine is the best bang for the buck.